If your only experience of Delaware’s Brandywine Valley is hustling through on I-95 once you’re over the Delaware Memorial Bridge, it’s time to shunpike. 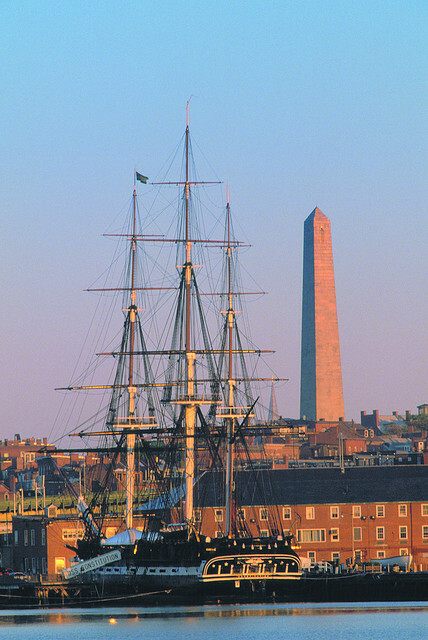 Start in Wilmington, a city colonized by the Swedes, Dutch, and English, and once known as the last stop on the Underground Railroad. 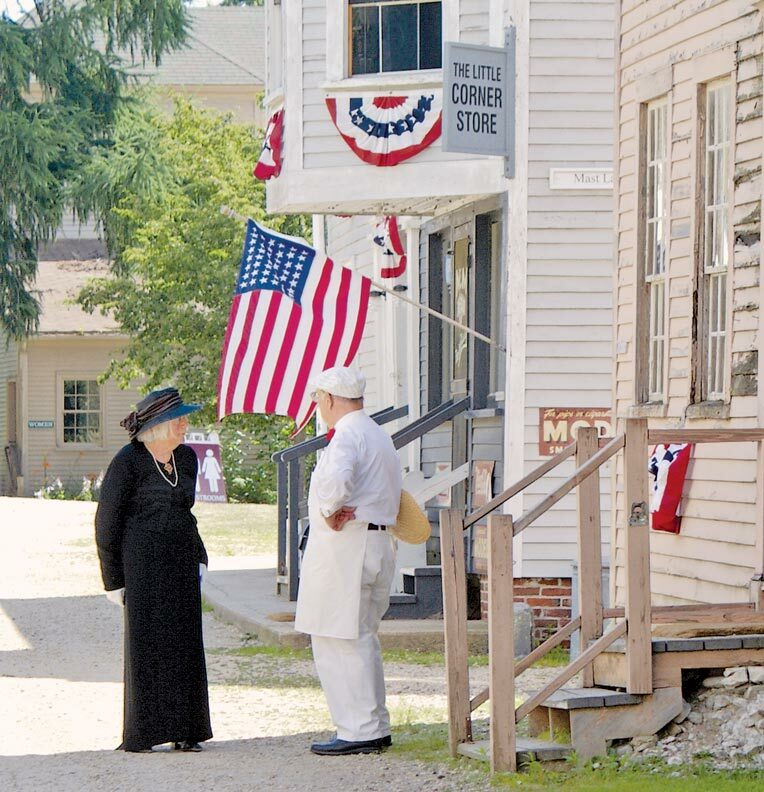 Then head south to New Castle—already a town when William Penn landed here in 1682. Find your way to Route 52, where you’ll skirt the Brandywine River with its ruined mills and waterfalls, a historic waterway that allowed the Du Pont family to build a 19th-century empire that endures today. 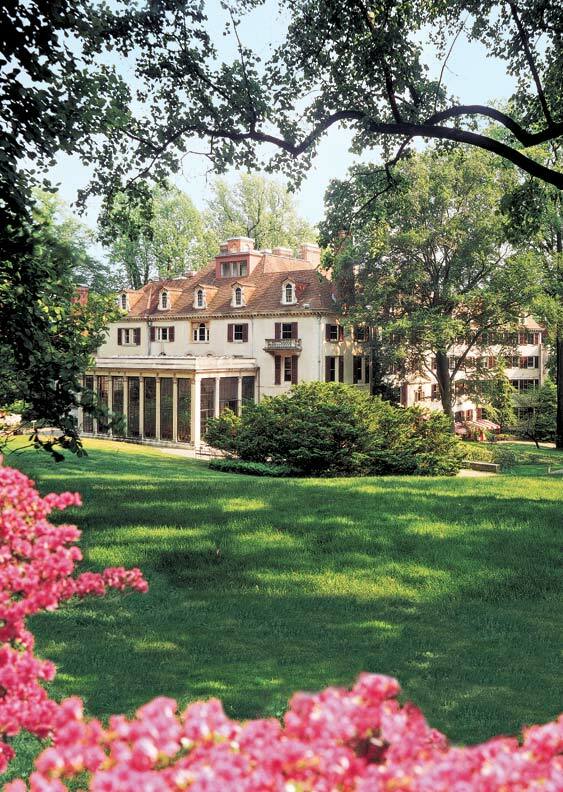 Once you’ve taken in a sampling of the family’s historic mansions and gardens that include the justly famous Winterthur, seek out fieldstone farmhouses, some of them dating to the early 1700s, in Chadds Ford. Beginning in 1802, the Du Pont family made a fortune manufacturing gunpowder along the Brandywine River, then had the wherewithal to diversify as the Industrial Revolution progressed. Evidence of the family’s largesse abounds in the romantic, hilly countryside where the heirs of Eleuthère Irénée du Pont built estates that are now almost exclusively in the public domain. The most famous is the Henry Francis du Pont estate at Winterthur, but other nearby sites include Nemours Mansion & Gardens (designed by Carrere & Hastings for Alfred I. du Pont in 1909), the Hagley Museum and Library (on the site of the original gunpowder works), and the not-to-be-missed Longwood Gardens in Kennett Square, Pennsylvania. The historic Green Room of the Hotel du Pont features fumed oak paneling and a coffered ceiling. 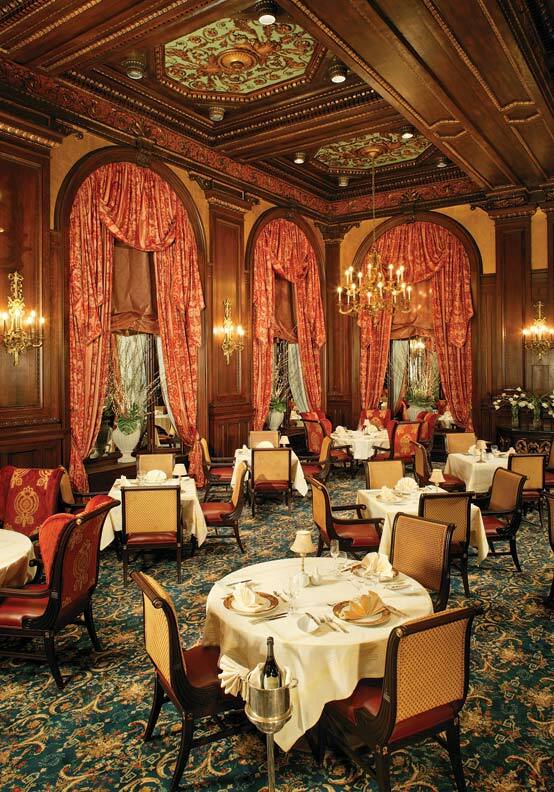 In downtown Wilmington, check in to the 1913 Italian Renaissance Hotel du Pont, where you can peek into the Gold Ballroom or dine in the Green Room. In the countryside, consider the Inn & Spa at Montchanin Village, a restored 19th-century hamlet on the National Register of Historic Places. Or choose from a dozen history-rich B&Bs through Brandywine Valley Bed and Breakfast, among them the Inn at Whitewing Farm, with its 1700s farmhouse, and the 1837 Fairville Inn in Chadds Ford. Originally settled in 1651, the oldest part of the town owes its preservation to yet another Du Pont, Louise du Pont Crowninshield. 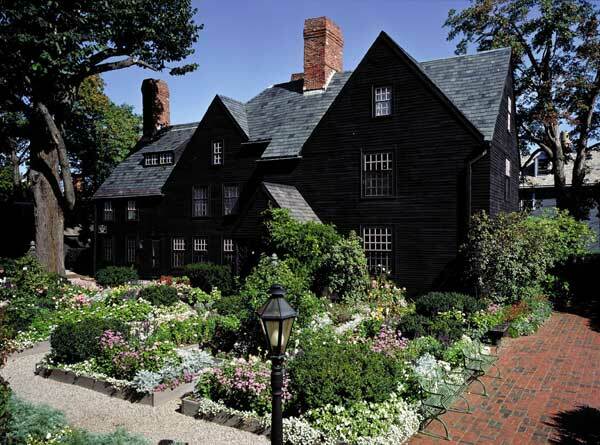 Treasures she saved include the 1730s brick Georgian Amstel House, with its early fanlight; the late 17th-century Dutch House, facing the town green; and George Reed II House, built in 1801 for a prominent lawyer. Holdings include the largest collection of pre-Raphaelite art outside the United Kingdom. A cadre of mid-Victorians that included William Morris, Edward Burne-Jones, and Dante Gabriel Rossetti, the pre-Raphaelites famously launched the English Arts & Crafts and Aesthetic movements through art that tipped over into decorative crafts like wallpaper and textile design. These men idealized their women in art, too, as in “Water Willow,” Rossetti’s portrait of his lover, Jane Morris (yes, also Mrs. William Morris). The Reflecting Pool at Nemours Mansion & Gardens. Alfred I. du Pont built this imposing mansion—modeled on the late 18th-century French style by Carrere & Hastings—for his second wife, Alicia, then added the largest jardin à la française in North America. Patterned after the gardens of Versailles, the central axis extends for a third of mile from the house. The Reflecting Pool covers a full acre and has more than 150 jets. Henry Francis du Pont was an incurable collector, and when he finished expanding his estate house (the current dwelling dates to the 1930s), its 175 rooms were packed with collections ranging from spatterware arranged by color to the freestanding Montmorency spiral staircase, gleaned from a lost North Carolina mansion of the same name. 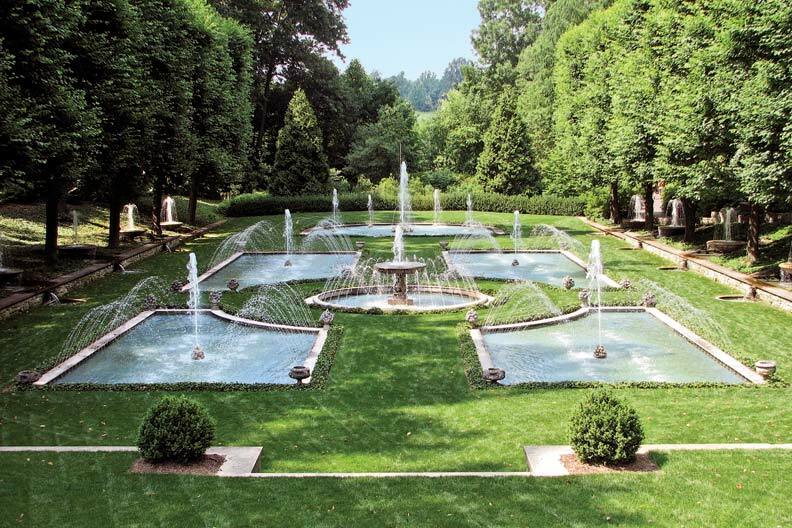 The Italian Water Garden at Longwood. One of the premier botanical gardens in the United States, Longwood is also one of the oldest, dating to a 1700 sale from William Penn to the Peirce family. In 1906, Pierre S. du Pont bought the arboretum to prevent it from being timbered. Through the 1930s, he added such features as a massive conservatory and fountains. 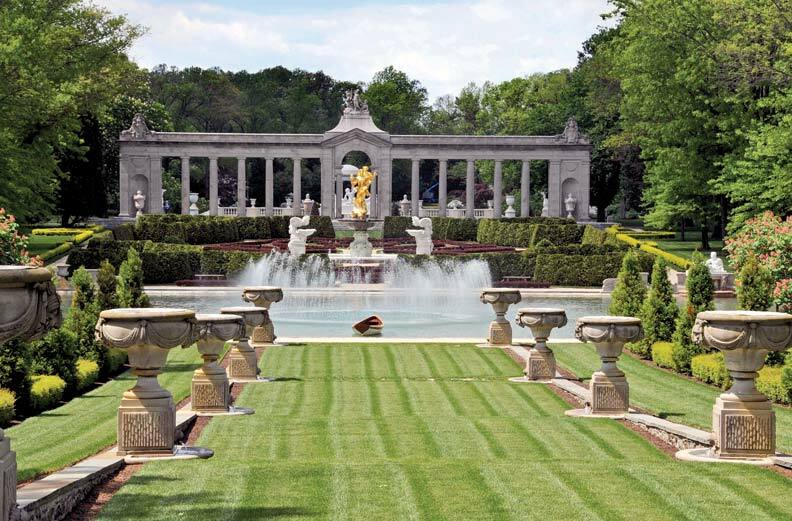 Open year-round, its many gardens include the Italian Water Garden. Built for John Chads (also spelled Chadds) by John Wyeth Jr., a member of the artistic Wyeth family, this 1712 stone farmhouse is one of earliest of a style famous in the Brandy-wine Valley. (The builder’s initials, J.W. Jr., are carved in the front of the house.) Chads’ widow, Elizabeth, sheltered here during the Battle of Brandywine. Explore this small city's architectural gems.